“IDSC did not gloss over the former government corruption,” says Hani Mahmoud the new chairman of the Information and Decision Support Center (IDSC) in a press conference held in their headquarters. Mahmoud, who appointed in his post on 2 May, 2011, told the journalists that all the reports issued by IDSC during former Mubarak era are accurate and weren’t written to mislead Egyptian citizens. “We were banned by the ex-government from publishing some reports that pointed out the regime’s mistakes and corruption,” the new chairman adds. Mahmoud states that the activities and role of IDSC are very important, especially considering Egyptian’s lack of confidence in the government and also that the centre supports the current executive administration with information, which helps them take precise decisions. “We have a weekly meeting with the prime minister,” Mahmoud reveals. One of the major problems the prime minister is currently facing is Egypt’s gas crisis. The whole process, starting from retrieving, to canning to the delivery and service of an antiquated yet heavily-used butane gas sector leaves many Egyptians short. “The IDSC surveyed Egyptians and 81 per cent agree that the butane gas shortage could be solved by distributing it through coupons,” he comments. "I wish that the IDSC had a watchdog mechanism, authorised to scrutinise the work of vital government posts when they ignore their own research and studies we publish,” Mahmoud told Ahram Online. “We are really seeking funding: the governmental budget of LE 75 million [$13 m] for IDSC is not enough,” Mahmoud asserts. 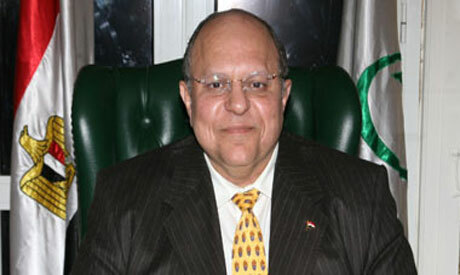 Hani Mahmoud is preceded by Majed Othman, who was reshuffled into his current post as minister of communications. Mahmoud worked for 28 years in telecommunications, which suits the current position well, and was ascended to several positions, such as the Postal Authority and West and North Africa regional director in the telecommunications giant, Vodafone.